American Express and Delta Airlines have signed an 11-year renewal extending their exclusive Delta SkyMiles Credit Cards From American Express portfolio through the end of 2029. 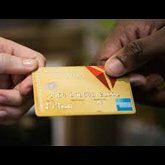 The agreement, said the companies, will leverage shared strengths to deliver value to customers while continuing existing features, including: investment in cardholder benefits, complimentary access to Delta Sky Clubs for elite card members; and Delta participation in the American Express Membership Rewards program. Delta said it expects its benefit from the relationship to double to nearly $7 billion annually by 2023, up from $3.4 billion in 2018. In 2018, the companies added 1 million new Delta SkyMiles credit card members while spending across the card portfolio grew by double digits. Delta is the largest co-brand partner for American Express and its only US airline consumer co-brand partner.